Office Space - Hipperholme, West Yorkshire. 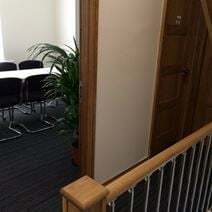 Without the price tag of a city environment these fully furnished and newly refurbished offices are suitable for one to six people in the busy village of Hipperholme. Coworking desk space and modern meeting room facilities also available.